Apologies for the long absence. My head has been here, there and everywhere. Work has been busy, home has been busy. I’ve put a tonne of weight on. Horrifying how fast that happened. I’ve reverted back to Slimming World but it is coming off in a painfully slow fashion. Like a pound a week for a huge amount of effort. I’ve had to say ‘sod it’ to the food budget. Eating this way isn’t cheap but I’m not prepared to live in weight based misery. Life is too short. So I’m not feeling like I’m being particularly Shoestringish at the moment! I will be back though. Perhaps when I’ve got a bit more spring in my (slightly less burdened) step. I meant to make use of the fact that we now have a garden to grow our own. It hasn’t happened so far though I did buy my first trowel yesterday. 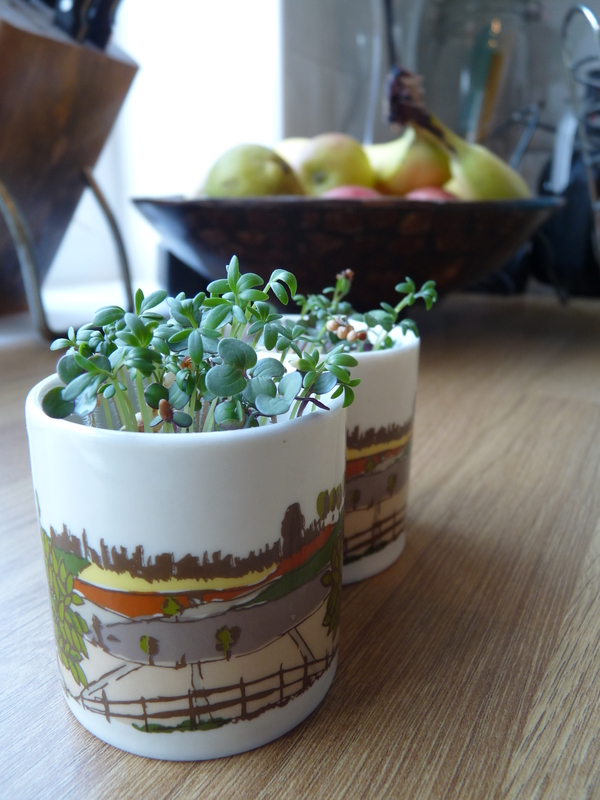 I’ve only grown my own on quite possibly the smallest scale possible….